You are here: Home / RABS / What is next for the RABS Bill? 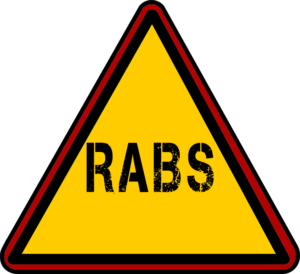 With all the uncertainty surrounding the introduction of RABS, the DoT has given the public the opportunity to have a trial run on the introduction thereof by way of the process to be followed in lieu of the RAF Amendment Bill of 2017. The RAF Amendment Bill of 2017 is sure to be confronted by much of the same challenges the RABS Bill will face once introduced to Cabinet. The LSSA had made very compelling arguments against some of the proposed amendments as proposed in the RAF Amendment Bill of 2017, which was actually part of the briefing pack given to the Portfolio Committee on the 28th of February 2017. We trust that the Portfolio members will consider these arguments and urge the Minister to call for a RIA as the only means to ensure that, whatever is introduced as a financial lifeline for the RAF and support to victims, will have exactly the intended outcome. The RABS Bill clearly still needs to clear quite a few administrative and legislative hurdles before it would be ready to be considered by the NA and NCOP and the process that follow. We will endeavor to secure and audience with the relevant portfolio committee and possibly the ANC study group to avail them of the realities road crash victims, the South African public at large and the economy will face by the introduction of an unchecked Bill. In the meanwhile it would be an interesting exercise to see how Cabinet will deal with the few principal changes, related to the RABS Administrator, when considering the proposed amendments to the Principal Act.